Bi-Office Magnetic Enamel Board 900 x 600mm CR0601830 – BQ54167 – OfficeYoo! This Bi-Office Magnetic Enamel Board features a high quality, hard wearing enamel surface ideal for professional presentations. The smooth surface is easy to clean and scratch resistant for heavy duty use. 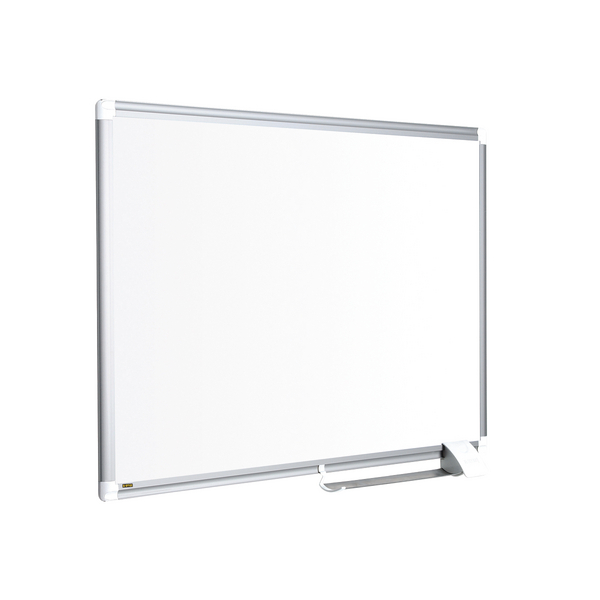 This board also features a smart aluminium frame with a repositionable sliding pen tray. Supplied with wall fixings, this board measures 900 x 600mm and includes a sliding pen tray.